Welcome to the Fae Out of Water blog tour, phase one--Cutie and the Beast! I’m so looking forward to introducing you all to the Kendrick brothers and their guys, starting this month with Alun and David. As you follow along on the tours—phase two, The Druid Next Door, in August, and phase three, Bad Boy’s Bard, in September—please leave a comment and your contact information for a chance at a $50 Riptide gift card. The drawing will take place after the last Bad Boy’s Bard blog stop. Thank you so much for stopping by! 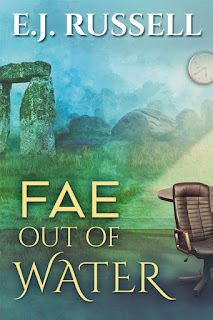 Check out the Fae Out of Water series! Recently, my Curmudgeonly Husband was at the grocery store and stopped at the deli. He asked the young woman behind the counter, "Why don't you have chicken gizzards?" He says her eyes got wide and she stammered, "I don't know. I'll ask the manager," then continued to stare at him as if she thought he was about to go off on a gizzard-induced tirade—and apparently she wasn't the only store employee he terrorized that day. He'd rendered a man in the meat department speechless as well. That’s right. Chalk up two more hapless victims of Resting Curmudgeon Face. Frequently, when CH comes marching into my office, I ask, "Why are you frowning?" "I'm not frowning," he says, with a deepening scowl. He's no longer aware of how intimidating he looks—and it doesn't help that his sense of humor trends toward the sarcastic and his communication style can be a tad—shall we say—gruff? His attitude—and others' reaction to him—inspired this scene in Cutie and the Beast between Alun and David. "I like my office uncluttered. Soothing." "Fine. Keep it that way. But the lobby isn't for you. It's for your clients, and their ideas of soothing may not be the same as yours." He dried his hands and binned the crumpled paper towel. "Have you ever waited in your own waiting room? It's boring. Your clients need something to occupy themselves while they wait their turn to be glowered at by you." "I don't glower at my clients." "Really?" David hoisted the coffee dispenser. "Lucky them." He walked toward the door, but Alun refused to budge. "Excuse me." "I don't. Glower. At anybody." David held up the shiny chrome urn so it reflected Alun's face, a convex image even more distorted than reality. "Take a look, Doctor. That's the definition of glower. Please move. You haven't replaced me yet, and I have work to do." Alun moved aside and watched David's stiff-backed walk down the hall. Did he really do that? 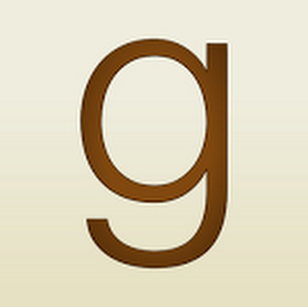 Glower? David didn't understand. This was just the way his face looked now. It didn't matter what kind of expression he wore, he always looked like a monster about to attack. Like David with Alun, I sometimes have to remind CH that he's having fun. To celebrate the release of all three books in the Fae Out of Water series, one lucky winner across all three tours will receive a GRAND PRIZE of a $50 Riptide credit! Leave a comment with your contact info to enter the contest. Entries close at midnight, Eastern time, on September 23, 2017. Contest is NOT restricted to U.S. entries. 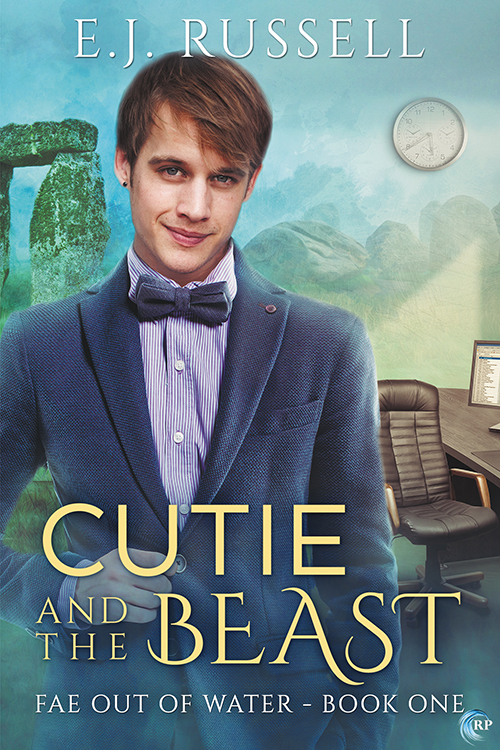 Thanks for following the Cutie and the Beast tour, and don’t forget to leave your contact info! The book sounds really fascinating adding it to my wish list. Sounds like a great start to a series. Looking forward to giving this a read. Thanks for the sneak peak. I'll have to check this one out. 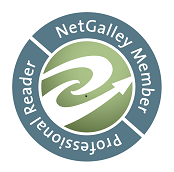 Thanks to My Fiction Nook for hosting me today. 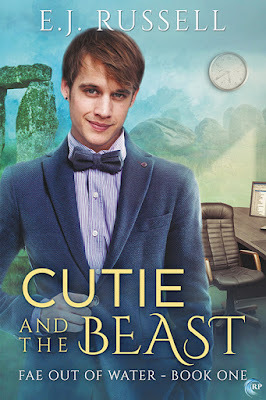 I really appreciate you all helping me celebrate the release of Cutie and the Beast! Thanks for the post. I find the ones starry CH quite entertaining! Congrats on the new release! I love the blurb and can't wait to read it.